The first big project for this year on Plot #59 is the planting out of an asparagus bed. 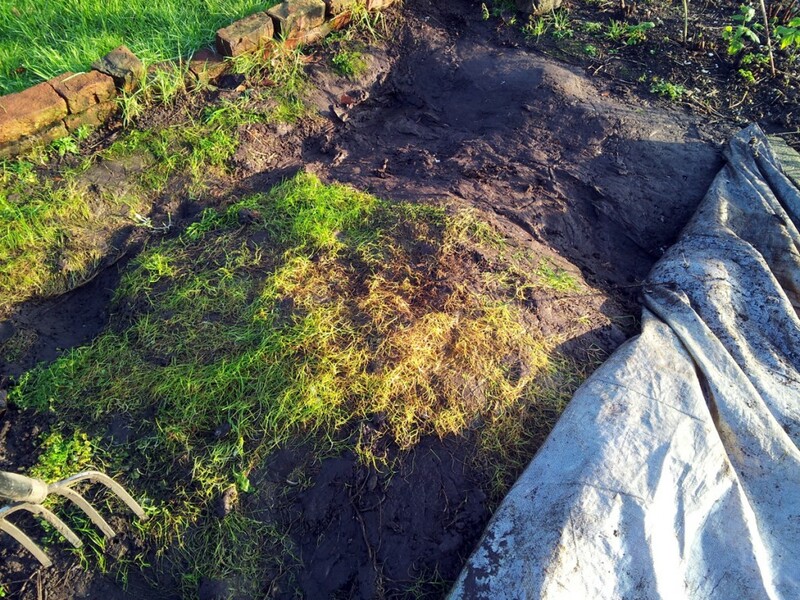 An initial deep dig to get rid of as much perennial and problem ephemeral weed as possible. Secondary digging to excavate a trench, about a spade’s blade deep. The addition of plenty of horse muck, mixed with soil and a lot of gravel, for drainage. The creation of ridges to plant the asparagus crowns on top of (again: drainage). Back-filling to a suitable level, then mounding up as the plants develop. Setting up wind-breaks to stop the young plants being bent out of shape as soon as they appear. Next up: manuring and re-digging, then gravelling and ridging. Finally – round about the end of March or early April, when my 30-crown, three-variety order from Blackmoor nurseries arrives, I’ll be planting, back-filling, setting up wind-breaks and then… waiting. It’ll be another two or three years before the crowns are well-established enough to start picking, but hopefully another 20 or 25 before they’re exhausted and need to be replaced. And of course, once they’re in there will be no more need for digging, just plenty of good quality mulch at the appropriate time of year. As I say, it’s a long-term investment, but given the amount we spend down Bury Market when English asparagus is in season, it’s one with a great potential rate of return. If anyone has any advice on asparagus planting that I’ve missed, or that scientifically contradicts any of the above, please do leave a comment and let me know!